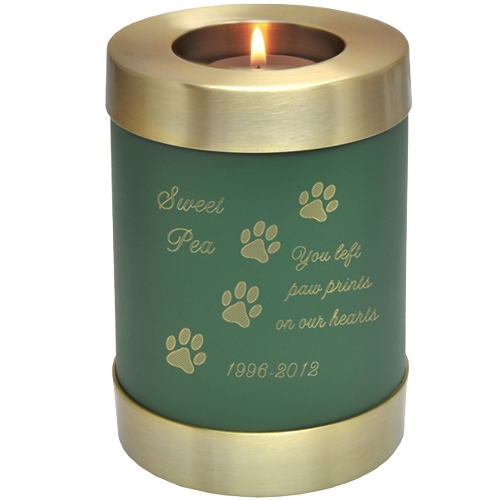 Light a votive candle in memory of your faithful friend with this beautiful candle keepsake. 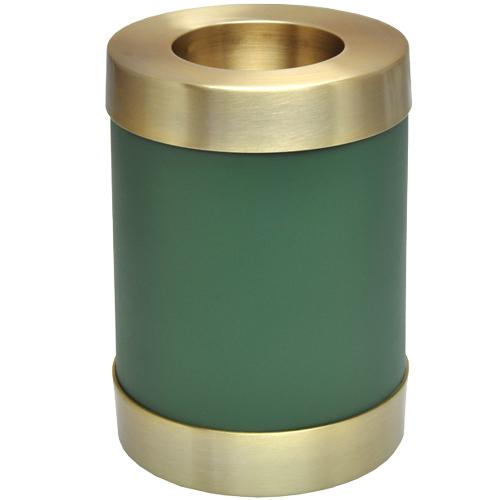 Made of brass with a rich, sage green matte finish. 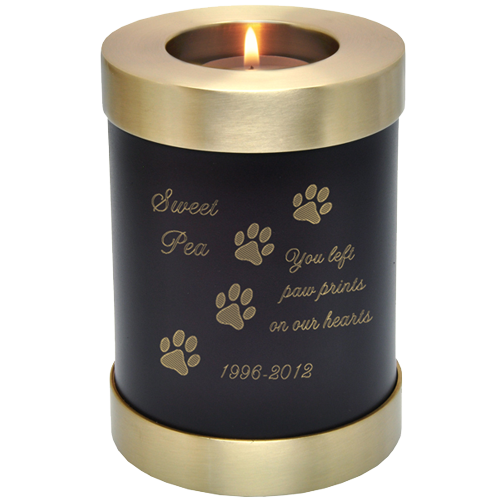 This urn keepsake looks amazing engraved with the contrasting brass showing through (shown with "Paw Print Trail" clip-art). Clip art is large and detailed while symbols are small and simple outlines. 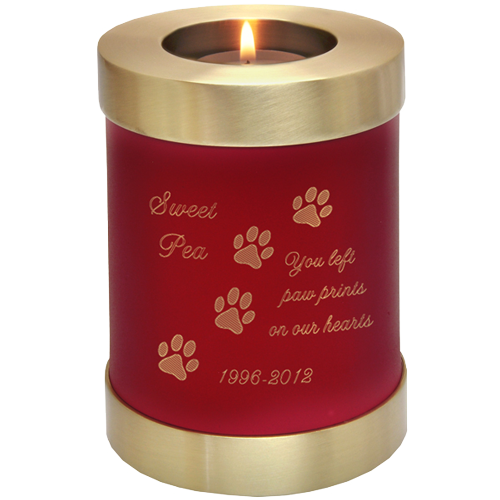 Small- 3 5/8"W x 5 18"H, holds 20 cubic inches of the ashes of a loved one that weighed 20 lbs or less at time of passing. 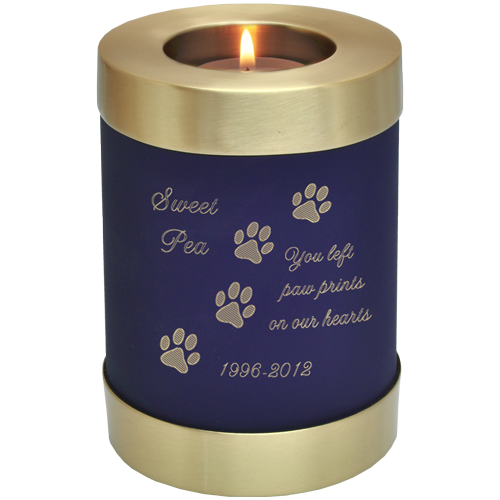 Large- 5"W x 7"H, holds 100 cubic inches of the ashes of a loved one that weighed 100 lbs or less at time of passing. 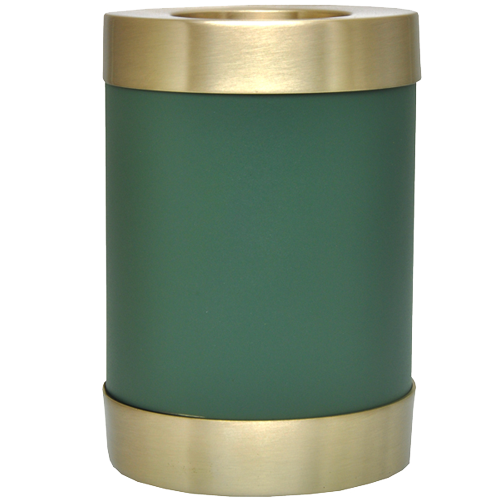 Memorial candle holder keepsake urns shown in rich colors- indigo, sage green, espresso & scarlet. 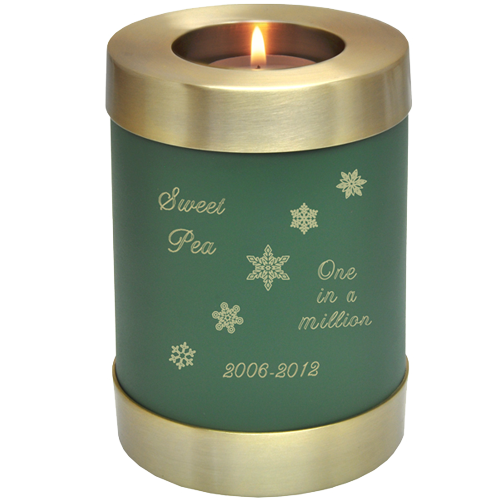 If you choose to add an engraving we will follow what you input- line by line, word for word. If you want all capital letters- type in all capital letters in the field (Please note: Script font is hard to read in all capital letters). Please proof-read carefully before submitting your order. Overall, customers are very satisfied with the engravings without a proof. However, we do offer a proof for an additional fee which includes 1 proof via email. If you would like further changes; additional proofing fees will apply.